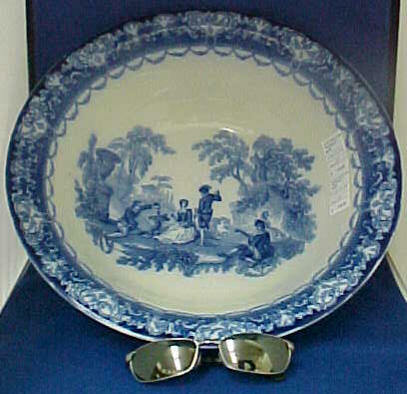 14.75 inch marked Doulton Watteau pattern Flow Blue Bowl. $210.00. Vauxhall Walk, Lambeth, London. 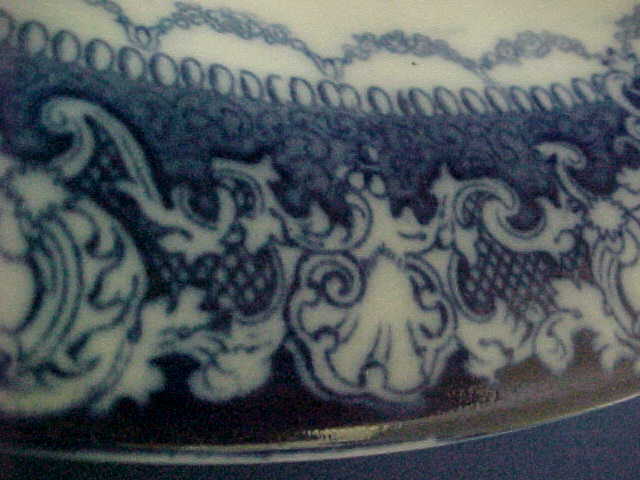 The business specialised in making stoneware articles, including decorative bottles and salt glaze sewer pipes. 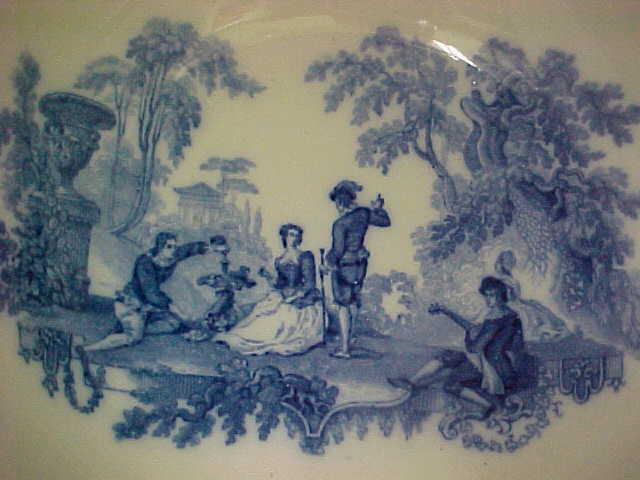 The company took the name Doulton in 1853.
which placed Doulton in the region known as The Potteries. 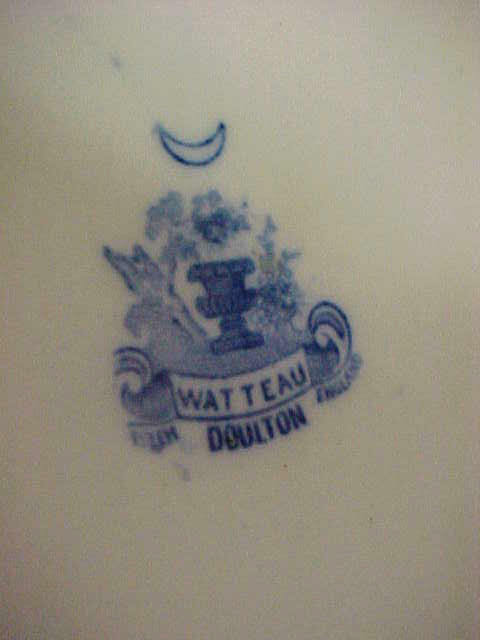 Burslem factory the Royal Warrant, which allowed the business to adopt new markings and a new name, Royal Doulton." 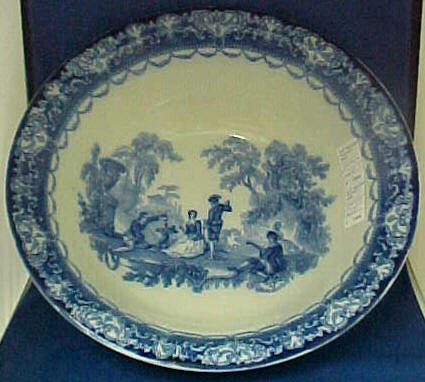 14.75 inch marked Doulton Watteau pattern Flow Blue Bowl. Space #27. Star Mall. 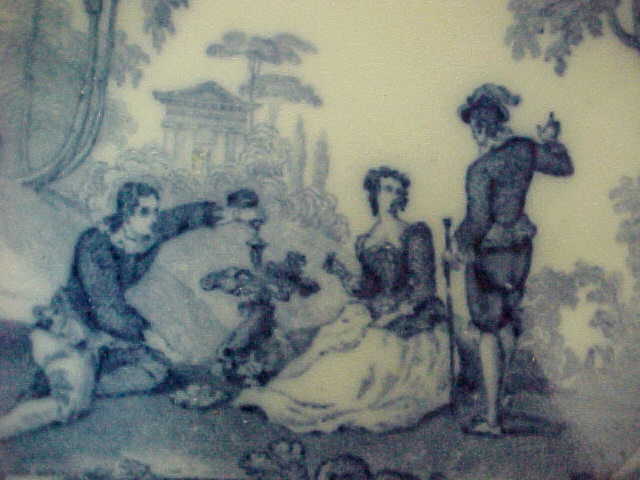 $210.00.